To add to the news that we released 2 weeks ago, of our second venue in Knox, we are delighted to announce a third location for Small Sided FA..introducing Small Sided FA Inner East! We are delighted to have secured a new facility based on the border of Glen Eira and Stonnington at East Caulfield Reserve to be the official base Small Sided FA Inner East for 2019. The facility we’ve secured provides one small court with a plexipave surface and one larger court with a synthetic surface which will be be used between the teams we create to train and play match days on. 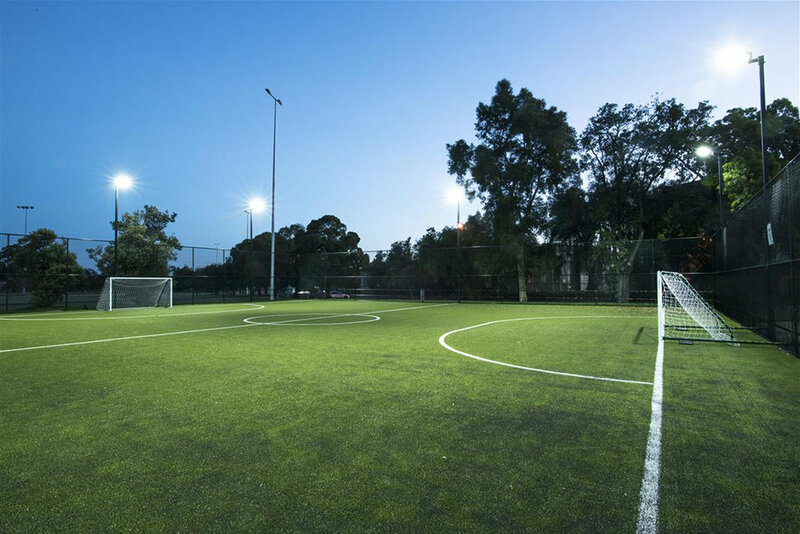 East Caulfield Reserve multi-sport pitches are brand new and provides fantastic access next to Dandenong Road as well as the train station, just a 5 minute walk away! There are car parking facilities on site as well as parking around the corner. There is also access to shops, restaurants and cafes too, ideal if you need to pick up groceries and shopping whilst your child plays. We invite players from the local area to come & join a team for 2019, we’ve got a team for any level and ability. With FREE Come & Try sessions scheduled in Term 1 of 2019 its a great chance to check out what SSFA is all about!